Build your dream home with a Gladstone builder you can trust. Welcome to Gladstone Designer Homes, we can build the designer home of your dreams! Chris Allen is a highly experienced local Gladstone builder. Chris has been in the Gladstone building industry for over 20 years and is about to hit a milestone of 200 homes. Building homes within the Gladstone, Tannum Sands and Calliope region for the past 20yrs, Chris Allen has earn't a reputation as a leading Gladstone home builder. Over the years Gladstone Home Builders have had many repeat customers and recommendations from existing satisfied clients. Chris & Dianne Allen and their team at Gladstone Designer Homes pay close attention to their clients' needs over the past 20yrs years and have always prided themselves on giving clients what they want. View what our satisfied clients have to say. 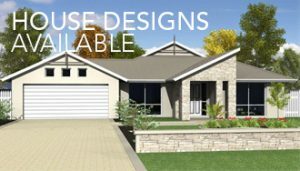 Gladstone Designer Homes can provide flexibility for clients to design their own dream home - or modify one of their numerous home design plans they have on offer. At Gladstone Designer Homes our team understand the stresses of building your home. The professional and experienced team at Gladstone home builders means that our clients are assisted and guided throughout the entire building process. A new concept on offer from Gladstone Designer Homes is a free landscape garden design to go with their new home. Phone us 07 4978 7997 today or call into your display home at the Corner of Dixon Drive and Sundew Street, Forest Springs, Gladstone today to discuss your new dream home.